Many women can expect to safely deliver via home birth...but certain factors could complicate their birth and make this decision dangerous. If you're considering giving birth at home, know this: While some research suggests this is a safe way to go, it may not be the right choice for every woman—at least if recently published expert opinions are any indication. A report recently published in Birth compiles expert opinions on the subject, and these ideas suggest that while home birth can be a perfectly safe option for many women out there, it may not always be as safe as hospital birth. While you might expect that only women with normal-risk pregnancies should plan for home births, experts suggest even women with specific risk factors should be able to safely deliver at home. Women who are over 35, overweight or have already had vaginal deliveries after C-sections can expect to safely give birth at home, according to the research. That is, unless they have any of the risk factors mentioned in the report: Women whose babies appear to be breech and moms who are experiencing their first vaginal deliveries after C-sections may incur greater risks—the report suggests women with these risk factors increase fetal death risk by eight to ten times if they deliver at home. 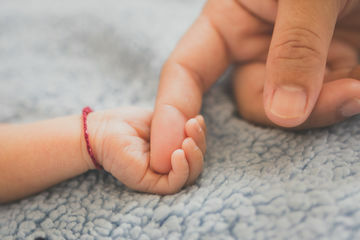 "Families who are considering a home or birth center birth now have data to use in making decisions," lead researcher Melissa Cheyney said, according to HealthDay's release for the report. "Many pregnant women do not see one risk-free option. Families may be negotiating the possibility of having an intervention in a hospital setting, like a cesarean section, that they do not want or need…While one study cannot tell an individual which option is the best for them, this research does allow consumers to bring data to conversations that, in the past, may have been driven more by fear than information." That's an important point: While these findings are obviously important to consider, you may have to take several other factors into account when deciding where you'll give birth. Our verdict? Talk to your doctor, do your research and make an informed decision about the birth plan that'll work best for you.